Over 3100 sq ft and located on a quiet c-d-s, this rancher home w/ full walk out basement has be renovated and waiting for you to move right in! Steps to Transit, Mundy Park, Shopping and Schools. Large private front porch with double doors to your entry. Open concept living & dining w/laminate flrs throughout, brick wood f/p, vaulted ceilings, tons of natural light and double French doors leading to your entertaining size patio. From the patio, enjoy views of Mt. Baker and Fraser River and access the flat private fully fenced south facing backyard. Large kitchen w/ island, white cabinets, s/s appliances. Additional eating area or mud room w/access to double garage. 2pc bath for guests + additional two full baths. Three bdrms are down their own wing away from the living space. 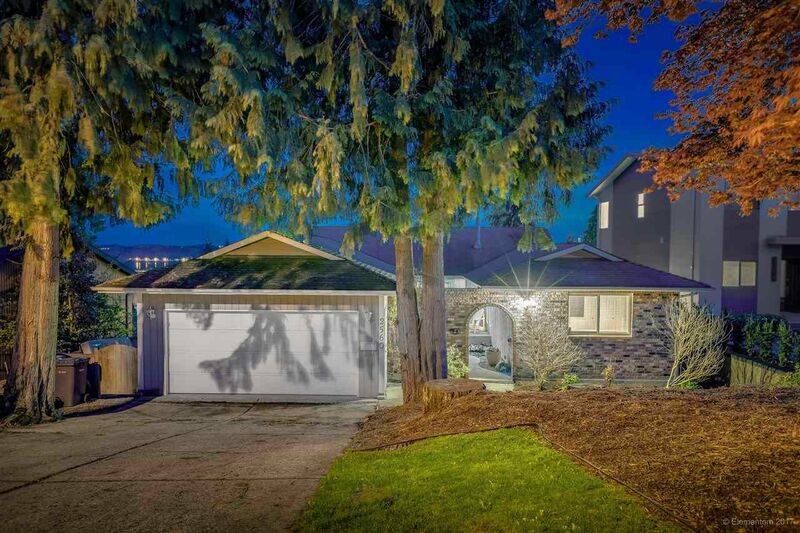 Down is two bdrms, ample storage & additional living space w/access to the backyard. TONS of natural light being above ground. Move in anytime!